Office space, residential properties and a former hotel in Donegal are included in the property lots in an upcoming Osborne King online auction. Taking place on December 5, the auction features 32 lots, including the former Roneragh Hotel in Fahan, Donegal. A derelict three-storey detached Victorian property, it is understood that a previous planning applicant received approval to convert the site on Railway Road into two town houses. It comes with a maximum reserve of £50,000. Meanwhile, in Londonderry a range of residential properties are up for auction with maximum reserves starting from £25,000 for a cottage-style property at 1 Termon Street. And in Ballymena on the Lisevenagh Road, a semi-detached property of traditional construction with a pitched slate roof features with a maximum reserve of £12,000. In need of a full refurbishment, this site is among the lowest-priced residential properties at the upcoming auction. For business developers, among the commercial offerings are a number of office sites close to Belfast, including two separate lots at Heron Road. These include a detached two-storey office block at 11 Pilot's View. The site comes with 15 car parking spaces and has a minimum reserve of £80,000. Meanwhile, on A21 Harbour View on 20 Heron Road a mid-terrace modern warehouse unit is up for auction with a maximum reserve of £65,000. And on the Castlereagh Road in Belfast, two separate retailing opportunities are available. A former beauty salon is located at 71-73 Castlereagh Road. It is made up of a 2.5-storey terrace building with a retail unit on the ground floor and an apartment on the upper floors. The maximum reserve for this site is £67,500. Further down the road, 98-104A Castlereagh Road is also on the market. This two-storey mid-terrace building of traditional construction provides a mixture of retail space and upper floor stores. Part of the property , numbers 98-102 is let to a charity with the remainder vacant for rental opportunities. Other major development opportunities are also available in December 5's auction with lands at Tullyneill, Sixmilecross up for auction with a reserve of £70,000. 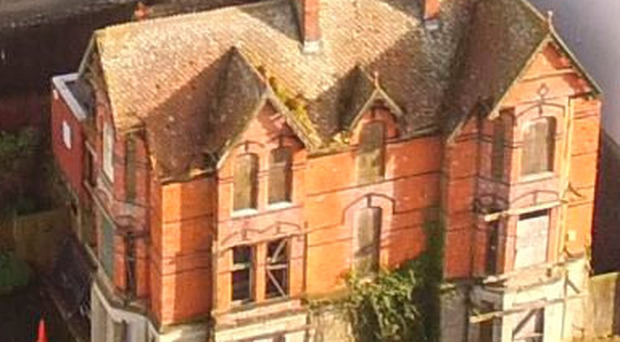 The holding comprises a single parcel of fields and includes a derelict house. And outside Newry, lands at Mill Road in Kilcoo are available with a maximum reserve of £35,000. In Portaferry, a development opportunity at Demesne Hollow with a reserve of £20,000. There is understood to be planning approval for the development of a detached dwelling and four semi-detached dwellings.